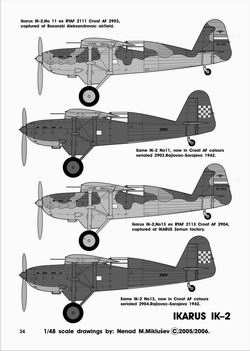 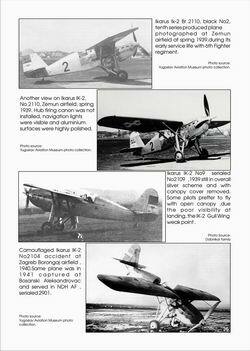 Royal Yugoslav Air Force WW II Fighter, 31 pages of superdetailed and accurate 1/48 scale and cammo drawings, 2 Photo pages, service and war use history, Dogfight stories, Pilots,Tech.data. 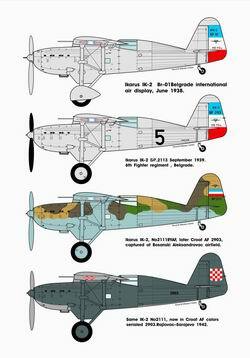 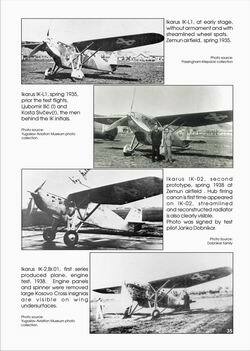 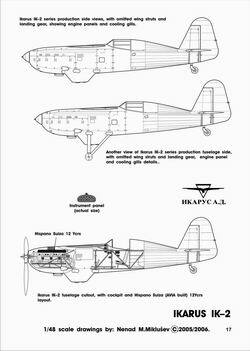 Most complete data source for Ikarus IK-2 , Royal Yugoslav Air Force WW II fighter. 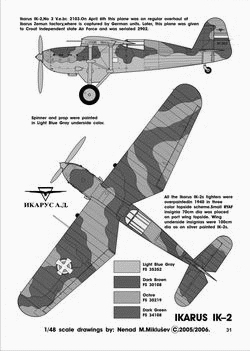 Full English txt. 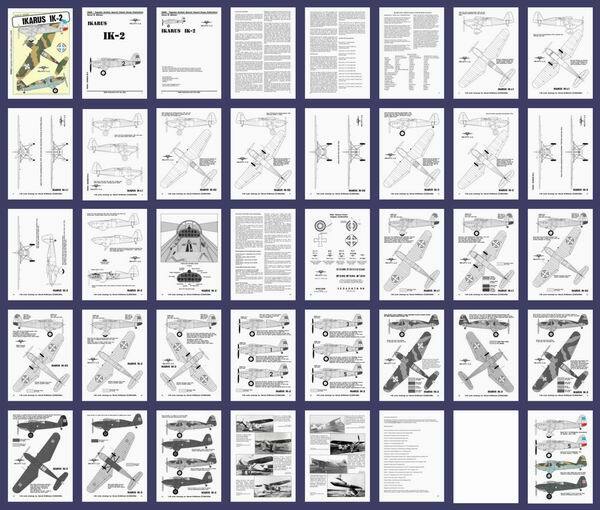 Total 40 Pages A4. 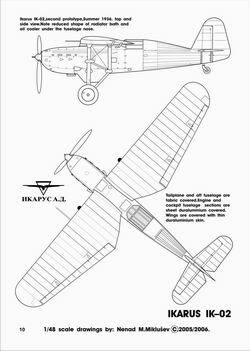 Digital printed color cover and back cover pages, b/w scale and cammo(raster) schemes. 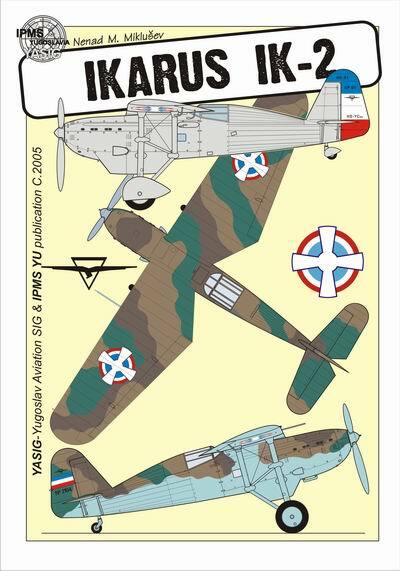 40 A4 custom digitaly printed pages, color cover pages, paperback YASIG publication.